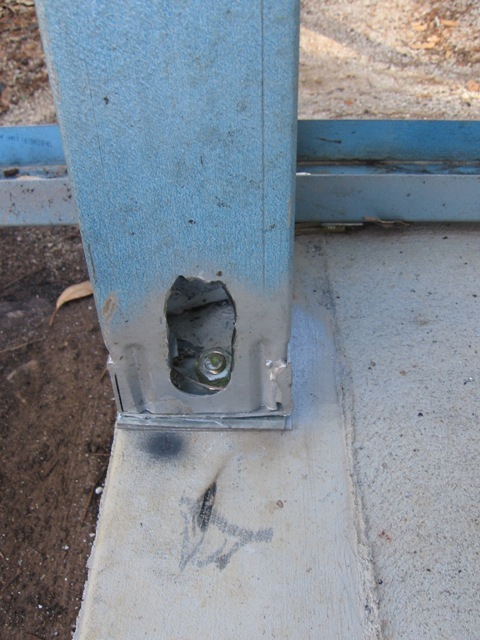 There are a few areas around doorways where it is difficult secure the frame to the slab. 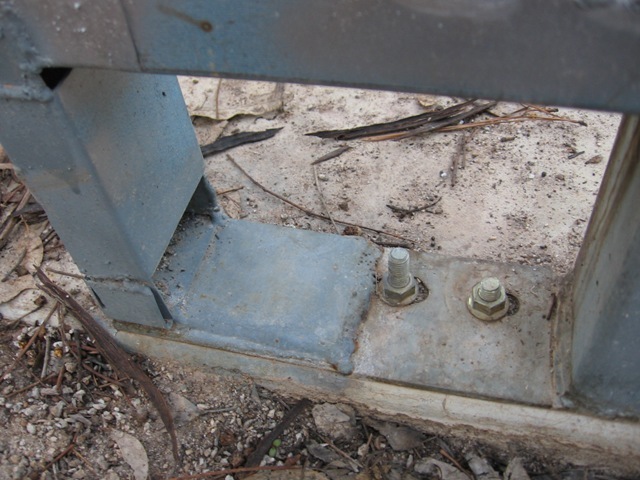 I took photographs of these issues to Rusty at my local hardware and asked for his advice - the before and after photos show the results of these suggestions. 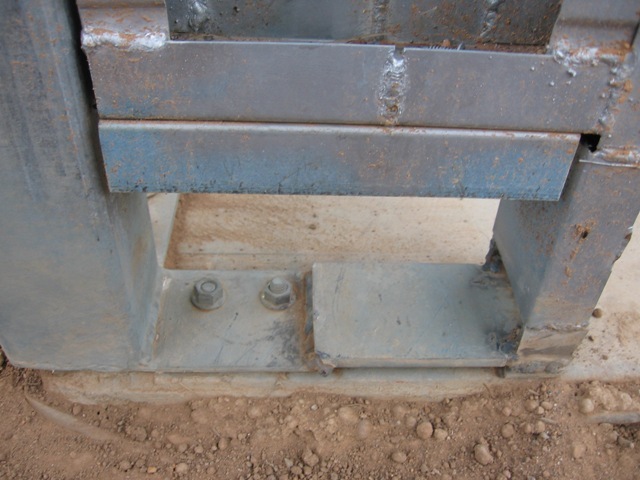 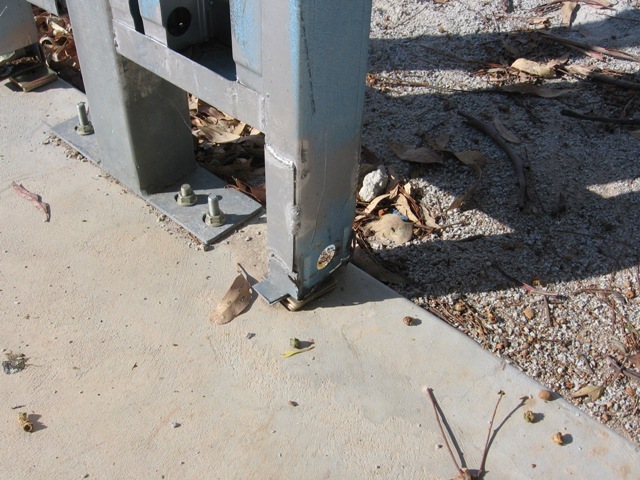 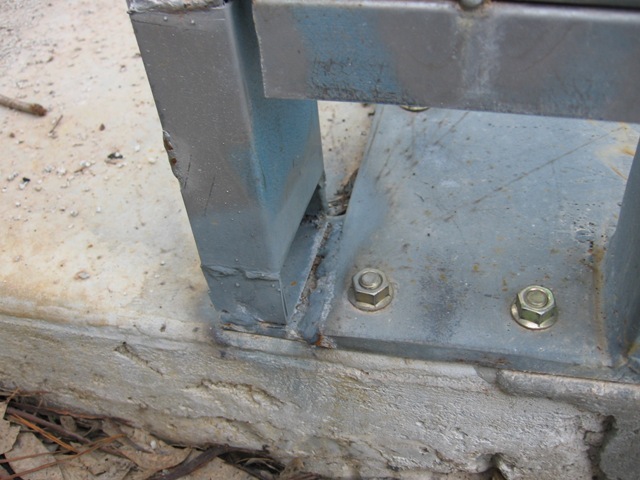 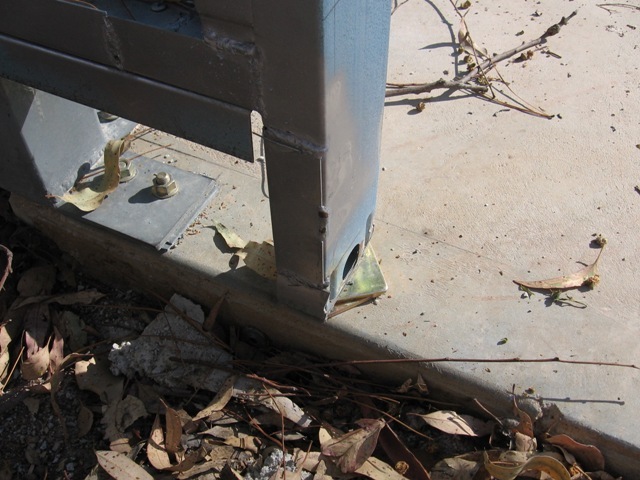 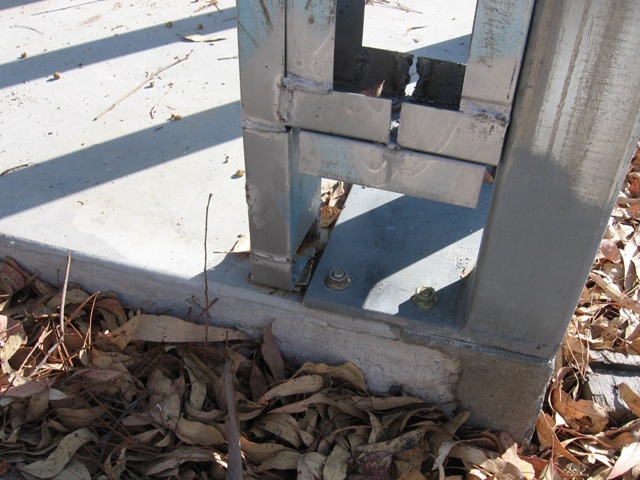 In most cases I inserted packers under the loose stud and created bridging plates that connected to the original bolt down material. 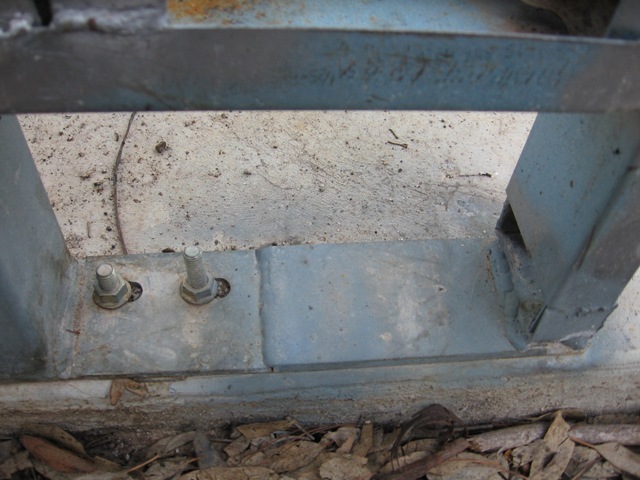 Ross did the welding with his mig unit - my arc welder would merely have blasted holes through the finer steel wall framing metal. 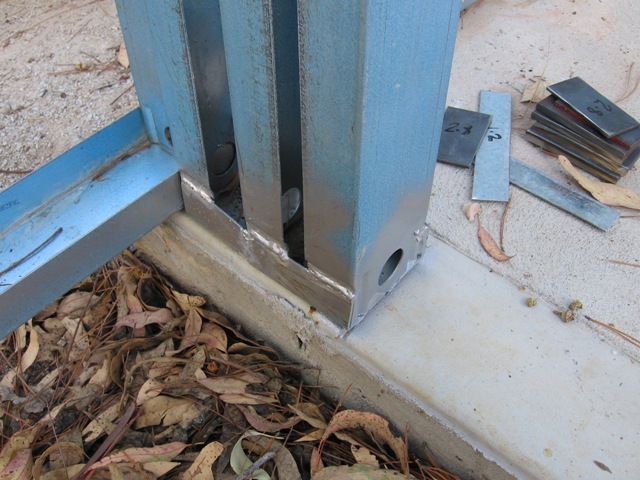 Good results - nice rigid doorways.